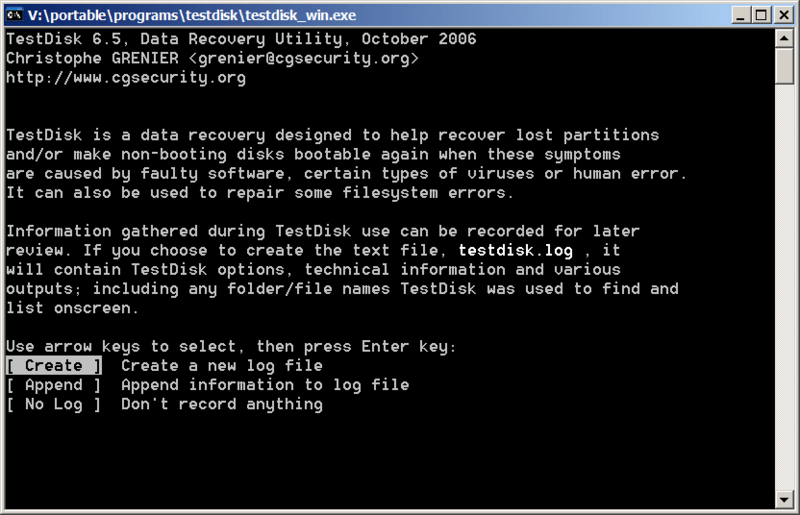 TestDisk is a powerful drive and data recovery software that is designed to help recover lost partitions and/or make non-booting disks bootable again. This can be caused by faulty software, certain types of viruses, or of course human error (such as accidentally deleting your partition table). The program is cross-platform with recovery tools for a long list file systems and includes the also-portable recovery software PhotoRec. Note: Use with caution; it's recommended that you read the documentation and take your time. The software can easily made dramatic and difficult-to-reverse system modifications. How to extract: Download the ZIP package and extract to a folder of your choice. Launch testdisk_win.exe. @bzl333: TestDisk is a multi-platform tool, so it has to speak some kind of computing Esperanto -- Linux users would be as puzzled as you are if it was the other way around... so you're right, it's an expert tool, as noted above. I'm sure this program is fantastic, if I can only figure out how to use it. Disk2vhd is a utility that can create live "snapshots" of Windows volumes, allowing you to duplicate/backup systems while running. The program creates Virtual Hard Disk files (.VHD, Microsoft's Virtual Machine disk format) from physical disks and can be used in Microsoft Virtual PC or Microsoft Hyper-V virtual machines (VMs). The program uses Windows' own Volume Snapshot capability added starting with WinXP to create consistent point-in-time snapshots of the volumes you want to include in a conversion. You can even have Disk2vhd create the VHDs on local volumes, even ones being converted (though performance is better when the VHD is saved to a different disk than ones being converted). Writes settings to: Application folder, and a single registry key as with all Sysinternal applications. How to extract: Download the ZIP package and extract to a folder of your choice. Launch disk2vhd.exe. It was http://download.sysinternals.com/Files/Disk2vhd.zip -- it's unusual for MS to have a case sensitive path. Changed. PartitionRecovery is an application to recover the partitions which have been accidentally deleted. It works with FAT32 and NTFS partitions. How to extract: Download the ZIP package and extract to a folder of your choice. Launch it by double-clicking on PartitionRecovery.exe. Not much help if you're trying to recover your unbootable Windows partition unless you have another Windows PC from which to run this Windows app. Or a Live XP boot cd, like Bart PE. 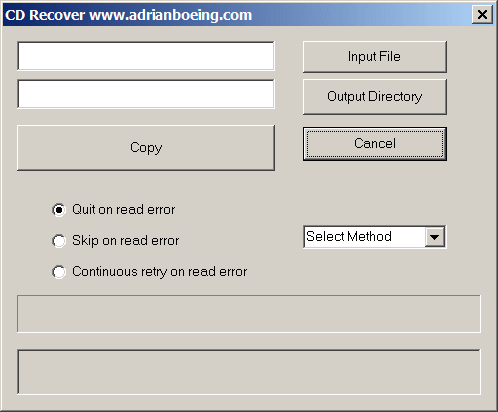 CD Recover is a copy program that will skip parts of a given file it cannot read without aborting. This is important for recovering corrupt video data from CDs. It can be configured to skip a certain number of kbytes on read error, or to keep on trying until the read succeeds. How to extract: Download the single EXE to a folder of your choice. Launch the program by double-clicking cdcopy.exe.